You are here: Home / Shaver Lake / I Love Shaver Lake! This picture (above) is Shaver Lake. The misty lake photo at the top of my blog is also Shaver Lake. I took that photo while out fishing with friends back in 2007. Shaver Lake is my most favorite lake in the world. It is located about 40 miles northeast of Fresno, California in the beautiful Sierra Nevadas. It sits somewhere between Sequoia National Park and Yosemite National Park. It’s a small resort town far removed from the smog, crime, and sweltering heat that exist in the nearby central San Joaquin Valley. I grew up (in the 1970’s) spending my summers around Shaver Lake. My family rented a cabin (cabin #9) every year at a campground called Camp Ducey located next to Dinkey Creek. While Camp Ducey itself no longer exists (it was torn down in the 80’s) there’s a great store with rental cabins called the Dinkey Creek Inn & Chalets. 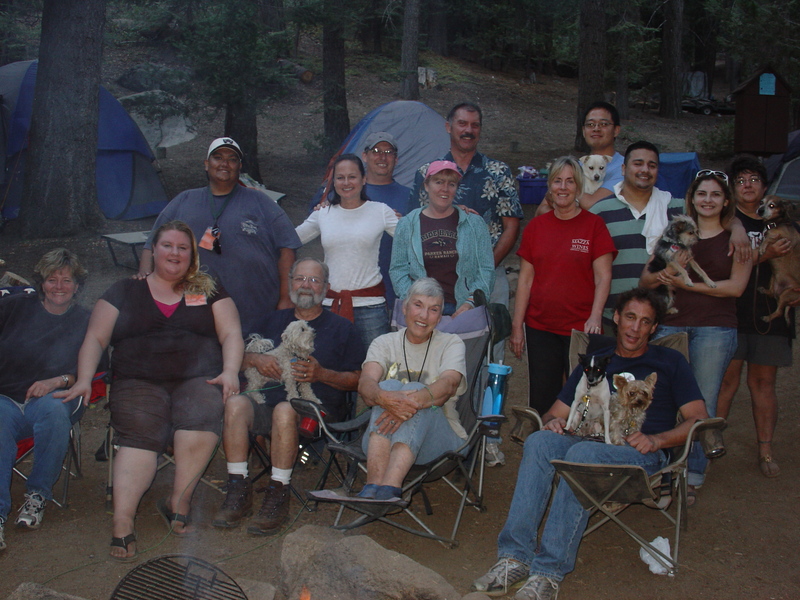 I camp at Shaver Lake every year (since 2002) with some of my buddies (above) at an event that we call the “Shaver Lake Shindig.” I love the Shaver Lake area so much that it is the setting for the bloodhound mystery / romance for teens that I am crafting. If I could live there year round, like the protagonist in my novel does, I would. 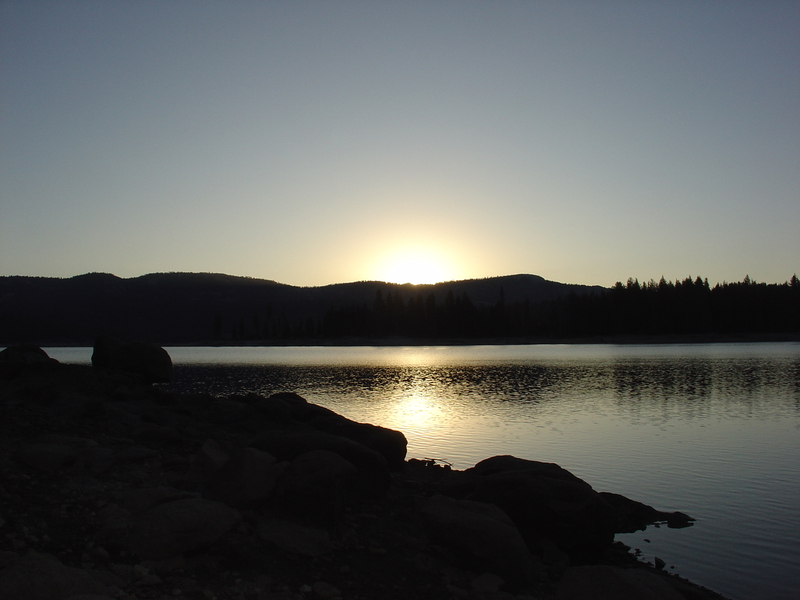 Not all that many people have heard of Shaver Lake. But if my novel does as well as I hope that it will, that may change!